This beautiful hardwood dining room table features two stow leafs, one on each end of the table, for easy and convenient table extension. 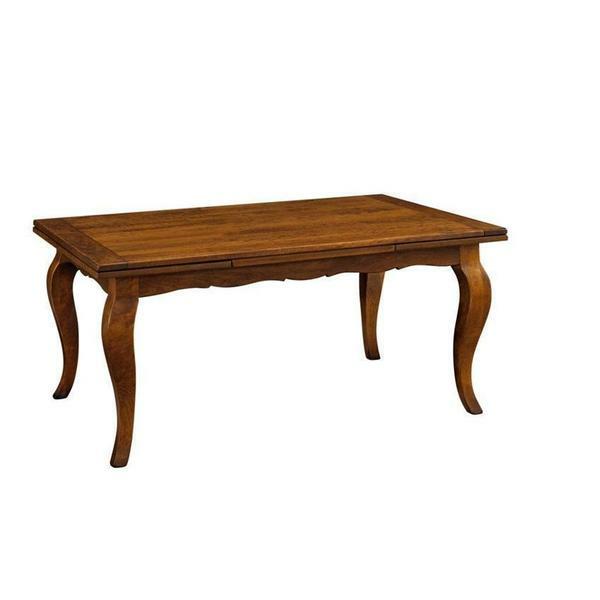 Handcrafted in the heart of Pennsylvania, the home of today's most famous woodworkers, the Avignon Stow-Leaf Dining Table is held to the highest standards of craftsmanship. Available in a number of stunning hardwoods and finish packages, customize this table to fit the existing style and tone of your home. 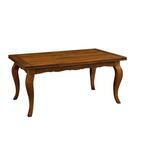 The Avignon Table is also available as a Self-Storing Leaves Table, an Extension Table, and a Solid Top Table! Please feel free to call us with any general question, or for assistance beginning an order. 1-866-272-6773. *Skirting Support Blocks - For extra internal strength and durability, braces are screwed at intervals along the table skirts.